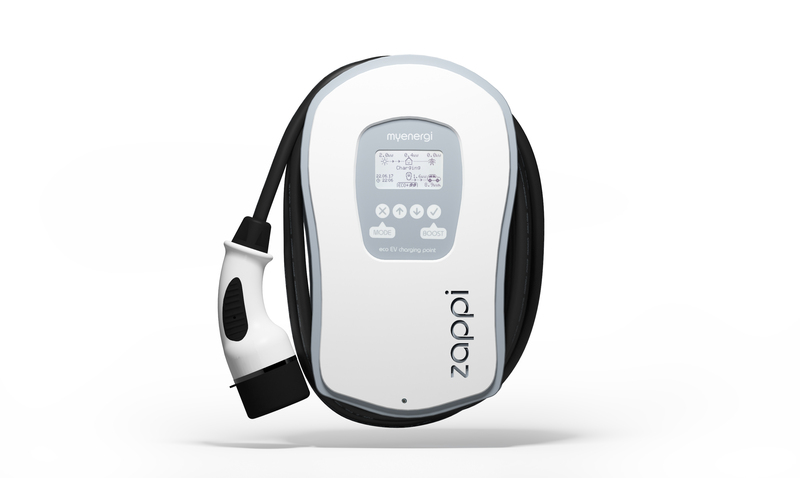 zappi is a Mode 3 charging station, compatible with all electric vehicles that comply with SAE J1772, EN62196 and EN61851 plug-in electric vehicle standards. zappi works like any regular charging point but has special eco charging modes which will benefit homeowners with grid-tied microgeneration systems, like wind or solar generation. Two special ECO charging modes automatically adjust charging current in response to on-site generation and household power consumption. In FAST charge mode, zappi operates like an ordinary EV charging station. 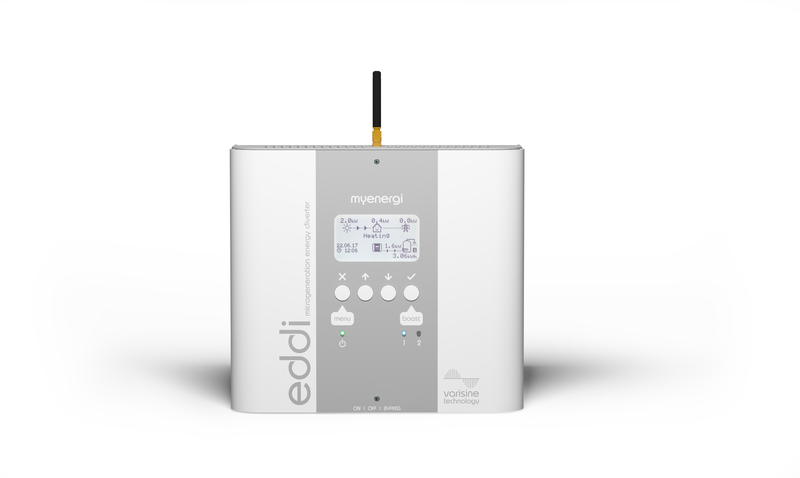 eddi is an energy management system for use with grid-tied PV or wind turbine systems. Excess energy from the microgenertation system is used to heat water or rooms rather than exporting it to the grid. Two heaters are supported (typically top and bottom immersion heaters). A grid current sensor (supplied) simply clips around the incoming supply cable. This sensor is used to monitor excess power and eddi automatically adjusts the voltage to the heater load, thereby consuming the surplus power. A self-powered wireless sensor is available separately. An internal expansion interface provides a means to add and expansion module to enable various functions such as auto switching from day-time and night-time supply, heat pump interfacing for legionella control and temperature sensing. An optional ELS module allows eddi to be officially used for G100 compliant Export Limiting Schemes, avoiding expensive grid network reinforcement costs.